She studied “Equities Market Specialist” in Omiros-Aegean College and at the same time completed an HND in Business Studies and a Bachelor in Electronic Business (E-Commerce) in the University of Huddersfield, UK. She also holds a Certificate of Expertise in “Banking and International Finance” from the National and Kapodistrian University of Athens and a certificate in “Trading and Execution of Orders in the Athens Stock Exchange” from the Hellenic Banking Institute and the Hellenic Republic Capital Market Commission. From 2013 to 2015 she worked in AXON Securities Servicies S.A. as Executive Secretary and PA to the President and CEO. For one year, she worked in Teleperformance Hellas S.A. as Call Center Agent for EOPYY and OTE Catalogue 11888. From 2005 to 2011 she worked in HSBC Pantelakis Securities S.A. in many departments (PA to the CEO and to the General Manager, Executive Secretary, Cashier, Foreign Institutional Sales Assistant in Dealing Room, Post Trading Support Administrator) and in HSBC BANK plc as a Teller. Through her 18 years working experience, mainly as a secretary and personal assistant in many companies, she has developed strong communication and organizational skills, practical and creative thinking and team working behavior. She loves her job and she is always willing to learn, give and create even more. She has a very good knowledge and working experience of administrative and secretarial support, financial services, equities trading in Greek and foreign markets, banking operations, and customer service. She speaks Greek, English and French. 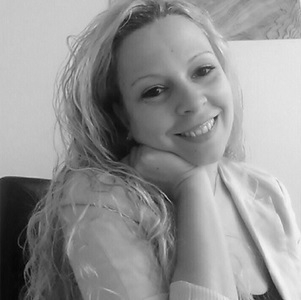 Irene is PA to the founder and ceo of tourism generis, George Drakopoulos.